WOW! Am I glad that I finally got my act together and started working with a trainer. I now ride a bike, walk most everywhere and feel great! My trainer, Svetlana Pelletier from BodyAge Fitness, has become a great friend and is a font of information when it comes to training and health. My body feels young again! 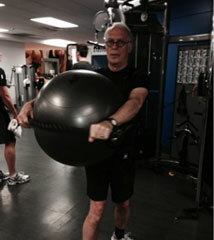 The whole experience has been wonderful; you are never “too old” to work with a personal trainer!! I have been working with Svetlana Pelletier for over five years and the results have been fabulous. 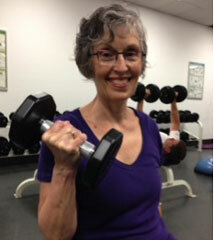 I am stronger, fitter and more energized at 50 than at 40. 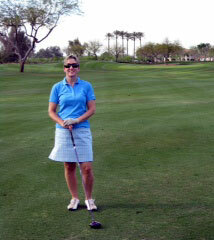 I am a golfer and I have seen a big improvement in my game as a result of working with Svetlana. 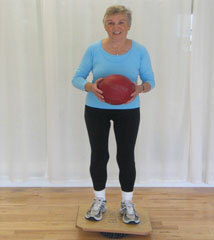 Svetlana keeps my twice weekly sessions interesting and challenging and incorporates exercises for golf as well. Svetlana is a wonderful personal trainer! Svetlana is a delightful person to work with. She is very careful, knowledgeable, and able to motivate you to keep fit. Exercising with her is fun and effective. With her expertise, we are stronger, more fit, with fewer aches and pains, and MORE ENERGY. Svetlana never gives up on any problem you may be having. She is dedicated to enabling you to be as healthy as possible. As an aging but very busy cardiology physician, I have very little time to devote to exercise even though I constantly tell my patients to do just that. I finally told myself I must start practicing more what I preach. Also, as one gets older, exercise is even more important in keeping one’s body functioning well (it helps the mind also). Svetlana specializes in us older folk and is extremely attentive to the type of exercise I do and whether I’m doing it properly to avoid injury to muscle and joints. She’s dramatically improved my overall strength, fitness and balance performances while making our sessions interesting while at the same time making it a pleasure being in her company and making exercise fun. Who knew? To top it all off, I feel generally better and have more energy. What more can one ask? In my 35 years of training (10 years at a very high level) I wish I had, back at the beginning, the kind of training techniques that the trainers of BodyAge Fitness are using because I would have been in better shape in less time and with less effort. The days of no pain/no gain are gone and the days of less pain/more gain are here! Michel and Svetlana Pelletier are a wonderful team, whose different skills compliment each other! It is because of their expertise, dedication and consultative approach that I now have relief from hideous pain to my lower left back and left leg. I am also stronger than I have been for many years. I had been to the medical doctors and the physiotherapist and was on medication for half a year but was only getting partial and inconsistent relief. For a number of sessions, they kept assessing what was causing the pain and adjusting their exercises until they figured it out. Within a month or so, I stopped the medication and am largely pain free. My concentration at work is back to normal and I enjoy life again!